Open for LGMA Queensland Members! the CONCEPT PROJECT recognises that at points during every career, officers may lack opportunities to develop new skills or confidence. Through the CONCEPT PROJECT, LGMA Members and local government officers who are ready for a challenge and want to test their skills or develop new skills in a ‘safe’ environment will have the opportunity to take on a challenging project, working on an issue outside their own council. Working in a self-directed project team of five, participants will be given a current issue to resolve. In 2019, instead of a host council, the team will work on an LGMA-initiated issue which has application across all councils. The project team's role is to investigate the issue and develop solutions to support Queensland local government. To do this, the team will be provided with access to relevant officers in council in order to learn about the matter, understand the context and discuss the options. Over ten weeks, the team will undertake further research in order to develop and test options. The team may opt to meet face-to-face during this time to work on their project but it is anticipated most project planning and communication is likely to be conducted over the phone or online. The project will culminate in a presentation to the LGMA Board on the team’s recommendations. In presenting to the board meeting, the team can expect board members and officers to ask questions about the recommendations and rationale for each. You never know, the recommendation may even be adopted in the future! After the presentation, the project team will receive feedback on the solution presented and their presentation of it. Importantly, the project team will also de-brief their processes, individual input and teamwork in order to maximise the learning. It suits officers who are looking to make the next career move and want to build confidence and knowledge in these skill areas before applying for that promotion and also those who are looking to challenge themselves professionally and experiment with innovative solutions. You will need to be able to dedicate some time outside work hours to contribute. This is estimated to be around 4 hours per week. The project team for each intake will be carefully selected from the nominee pool in order to create a diverse team with a mix of skills and experience. 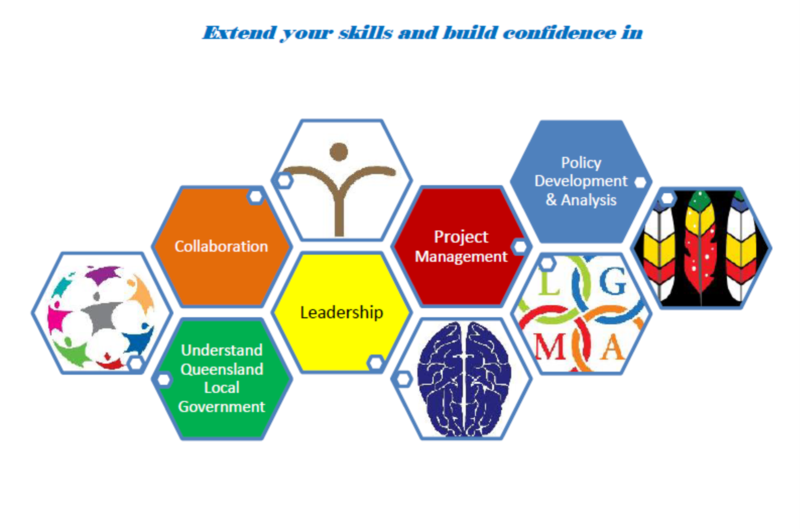 the CONCEPT PROJECT is only open to LGMA Queensland members (individual). There is no charge to participate as it is offered as a Member Benefit. Participants will need to bear the cost of two visits to the LGMA's Brisbane office, further face-to-face meetings as determined by the project team as well as any associated costs of undertaking research. the CONCEPT PROJECT 2019 programme will be located in Brisbane at LGMA's offices. The programme will commence in Brisbane on Friday, 14 June with the initial briefings. The presentation to Board will be held in Brisbane on 22 or 23 August (date to be confirmed). Complete the CONCEPT PROJECT Nomination Form and return by Friday, 17 May to admin@lgmaqld.org.au. Enquiries to 07 3174 5006 or to admin@lgmaqld.org.au.